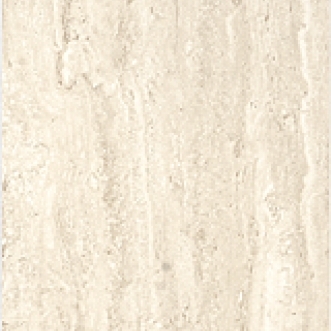 A replica of vein-cut Travertine with a linear, tone-on-tone variegation. Glossy finish. Wall Inserts have a sweeping, Roman-style floral in an antique look. The Listellos are Mosaic style using all three colours of the series, with mixed-colour straight patterning and chevron-style patterning. A co-ordinating Matte finish Classico Tra Monocottura floor tile is available.